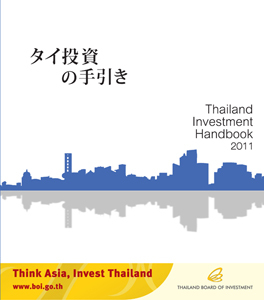 Another bilingual handbook for Japanese business investing in Thailand. This book provides a brief introduction on various Thai business laws, such as company law, labor law, taxes and so on. Readers will have an overview on the Thai laws related to doing business in Thailand. This is also available for free of charge at UBCL office and BOI offices.